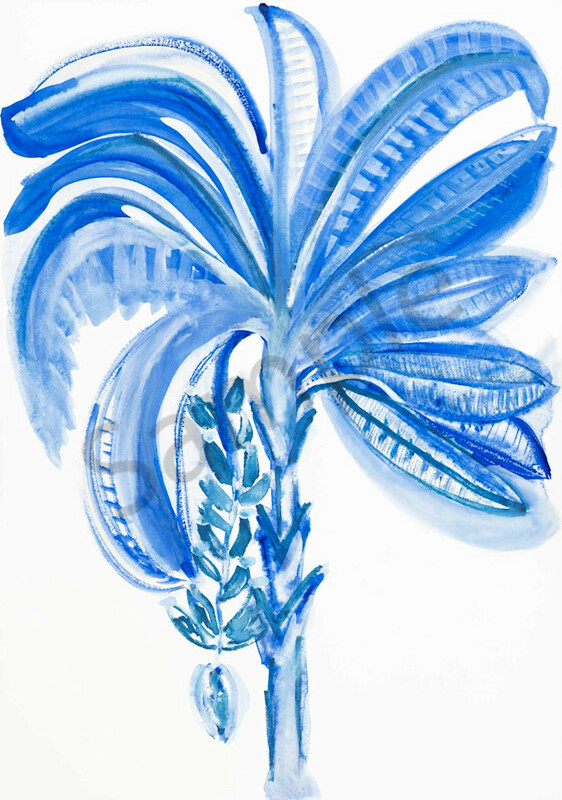 A lovely bright and happy summer banana tree in vibrant blue. A strong watercolour, this is everything living by the beach in summer is all about in the tropics, fun, exploration and growing up. Painted used Windsor & Newton watercolours with watercolour pencil and and on Arches paper.